Italian reconstruction after earthquakes: build it with steel! 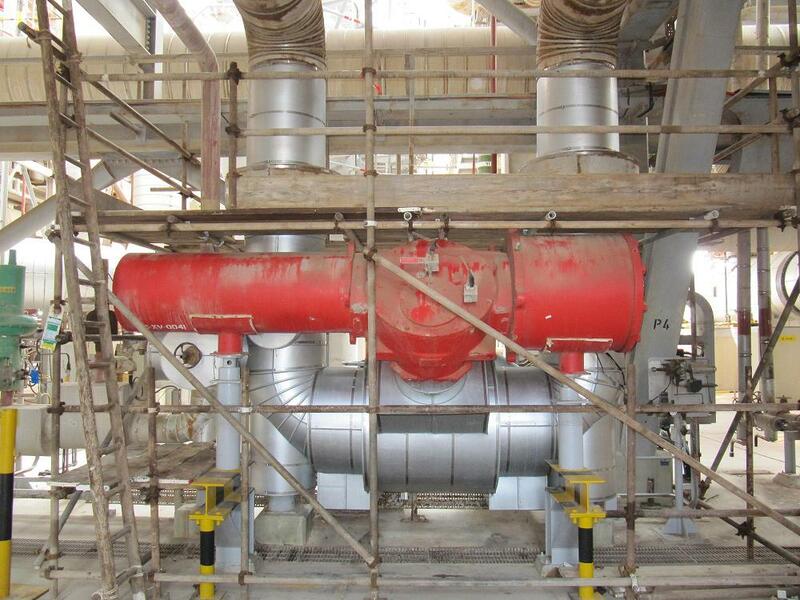 When ADGAS wanted to renew the jacketing of their gas installation on Das Island in the Persian Gulf, they turned to the same steel solution they used more than 20 years ago: a special steel grade known as Aluminized Type 2. And they asked their long-term partner ADCC to manufacture the jackets which protect the pipes, vessels, tanks, and other infrastructure in the harsh local environment. The new jackets will insulate, weatherproof, and enhance the fire resistance of the Abu Dhabi Gas Liquefaction Company Limited (ADGAS) infrastructure on Das Island. 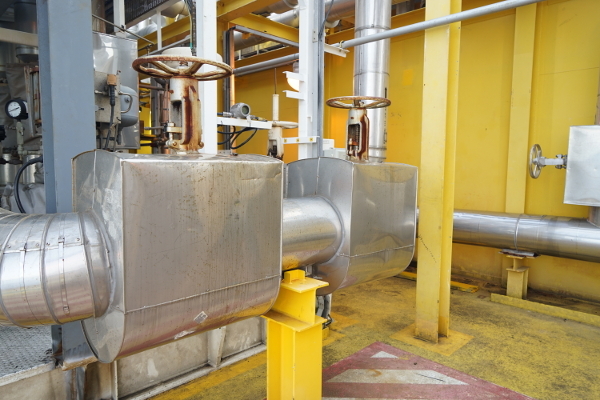 That includes all equipment used in cold, cryogenic, cyclic, and elevated temperature operations. The new jackets also had to meet strict local safety specifications. ADCC offers a six-year warranty for jackets made with Aluminized T2. “In fact, it lasts much longer,” explains Mr Al Alkhateeb. “The jackets we are replacing were originally installed in 1992 and 1993, and they have been in continuous use ever since. Aluminized steels are hot-dip coated in a bath containing either aluminium and silicon (Type 1) or pure aluminium (Type 2). Both Type 1 and Type 2 offer good fire resistance and excellent reflectivity. Up to 80 percent of the heat which reaches the surface of the steel is reflected. 1.0 mm for pipes above 10 inches in diameter, and other equipment such as vessels and tanks. A part of the United Arab Emirates (UAE), Das Island lies 160 kilometres off the mainland. Oil exploration was first carried out on the island in 1953. Since then it has grown into a strategic hub for oil and gas exports. Although only 4.8 square kilometres in area, Das Island houses an oil processing plant, and a gas plant which is operated by ADGAS. Established in 1966, the Abu Dhabi Construction Company (ADCC) creates protective coatings and fireproofing solutions for the global oil and gas industry. ADCC has been active on Das Island since 1970. The relationship with ADGAS s began in 1977 when the first gas facility was created on the island. From 1 May 2017, ArcelorMittal Projects Oil & Gas has become the main distributor of ArcelorMittal’s Aluminized Type 2 offer around the world. ArcelorMittal Projects Oil & Gas is uniquely positioned to provide the strong global supply chain and international project follow-up required by insulation companies and other contractors in the oil and gas sector. Coils of Aluminized Type 2 are shipped directly from the ArcelorMittal Projects warehouses in the Netherlands and the United Arab Emirates to customers anywhere in the world.